There are a couple of high energy focal moments during your wedding day. The first kiss. The dance floor. And the grand entrance. (I left the part of the night after the reception off because we can’t help you with that). However, we do have some advice on making your grand entrance a moment to remember. 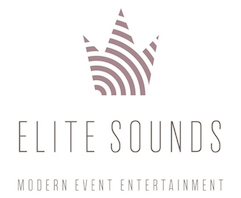 At Elite Sounds we pride ourselves on bringing newlyweds’ reception visions to life. We are always collaborating with brides and grooms that are unique in their own way. Whether they are going for a traditional feel or a completely original new concept for a reception. So whether you want Shut Up and Dance or When a Man Loves a Woman for your introduction, we will be there to make sure it is what you have envisioned. We have success stories from both ends but let us break down some of the aspects of a great grand entrance track. The more of these aspects you can check off, the more relevant and successful your grand entrance song will be. This is your big entrance! Your guests just watched your relationship go to the next level and they’re as amped as you are. Pick a song that reflects that energy. Outta Your Mind by LMFAO is an extremely high energy song. But is it topically relevant? Unless you two were crazy to tie the knot, then probably not. It may be cliche but this may be the time to pick a love song. And mind you, just because it is a love song doesn’t mean it has to be a slow song. 87% of songs are love songs (we made up this statistic, but it’s probably not far off considering every song ever). You want your guests to be able to relate to the way your feeling. Picking an obscure track can be a risky move if you are going to be looking for crowd reaction/participation. However, if you are able to hit the other points, this could potentially be overruled. You want a track that speaks to both you and your partner. Find a track that has a special memory attached to it. Or one that shares a similar significance to each person. For example, we had a couple chose Space Jam by Quad City DJ’s to walk in to. They were both 90’s kids and loved 90’s music. They loved movies. Was it a high energy track? Check. Topically relevant? Perhaps not (but they danced in and made it their own). Crowd familiarity? You betcha. For those of you who are considering picking a different track for every bridesmaid and groomsman, we would lean you a different direction. A single track allows for a uniform energy level, smoother transitions and won’t overwhelm an already hectic formality. When you choose a different track for each couple your crowd will only hear about 10 seconds of each song, resulting in a muddled mess. If you do want an extra song option, consider just having one for the bridal party and a different one for the newlyweds. After you book with Elite Sounds you meet your DJ. 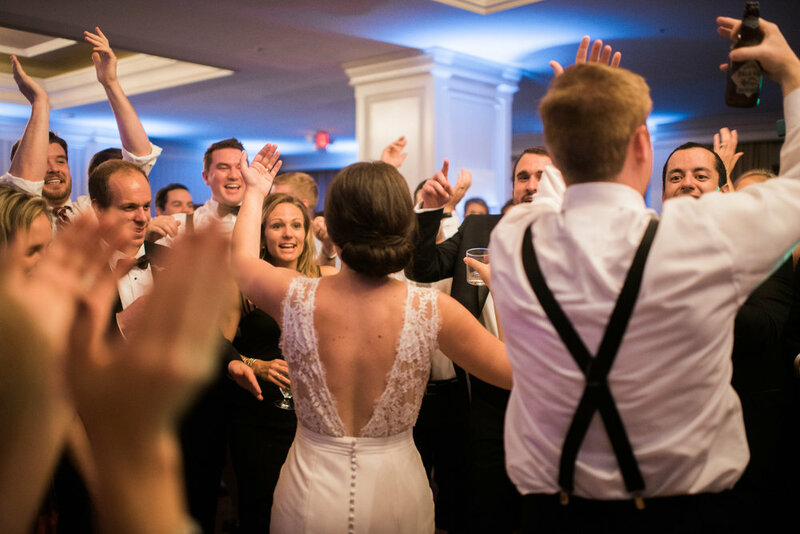 Our DJs can help you find the perfect track for your entrance after learning more about your musical tastes, relationship history and the overall style of your wedding.